This one comes from an antique Botanical print. According to the bottom of the print, it’s called a Glaucous leaved Dog Rose. It looks like the Wild Roses that grew near our house when I was a kid. Anyway, I think it’s a particularly pretty floral graphic and useful for so many projects! Free Red Poppy Image – Gorgeous! 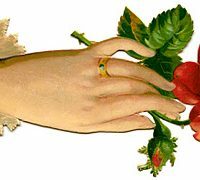 Victorian Graphic – Ladies Hand with Red Rose Vintage Bluebirds Image – Sweet! What a Beautiful rose Karen! It has terrific leaves, too! I’ll be using this one a lot, thanks!! Woops.. I put my comment on the wrong post. 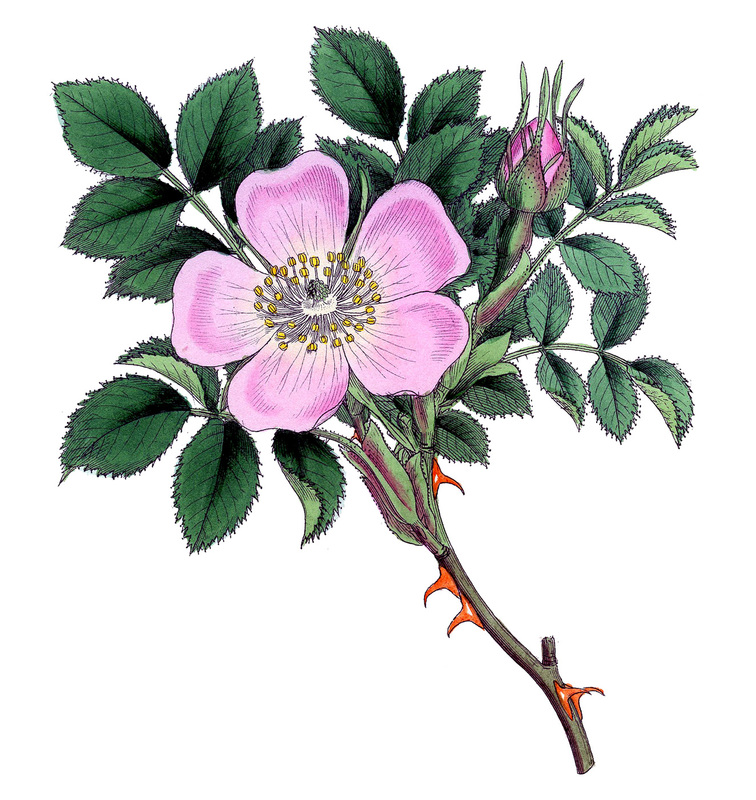 This looks just like the wild roses that grew in the ditch banks in the mid-west where I grew up. A beautiful image. Beautiful! Thanks for sharing, Karen. Lots of potential with this image.